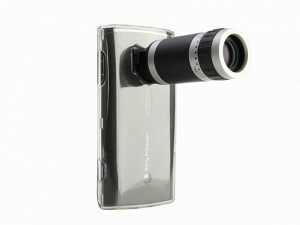 Zoom Lens for iPhone, Galaxy S and Xperia X10! This could be the most odd looking thing I have ever seen, but that does not stop me from wanting to give it a try. The Conice Zoom Lens is designed to work on your iPhone. Samsung Galaxy S and even Sony Ericsson’s X10. While this in theory is a 6x Optical Zoom for your smart phone, I am not sure it will be better than a digital zoom in some ways.